I have just uploaded my first attempt on an AI, mostly done as a try on Squirrel and the NoAI API. It will select the largest cities (towns marked as city) and connect it with nearby towns (of any size), when distance to next town is too great, it jumps to the next city, and continues like that. Since it is a company, it will eventually go bankrupt as it doesn't try to make money in any way, but I have tried to make it so that it reduces the amount of loan while calculating the routes, so that, hopefully it can live a little longer and connect a few more towns. I have just started to recreate this AI as a GameScript, that way I will get the purpose of the AI covered without occupying a company slot. I am still not sure of how I would want the GameScript to work other than I would like all towns and cities to build out the network towards their neighbouring towns. One idea I have is that the speed of building will depend on town size, for example a town builds 4 tiles per 1000 citizen, while a city builds 8 tiles per 1000 citizen. Further another idea, is large cities will try to make ring-roads circling the circumference of the city, this work might start in 1985. I might do minor adjustment to the AI but will not do any major alterations. If any bugs encountered, please report them here. Doesn't seem to work well with bridges. Also it builds unrealistic long bridges over lakes when it's possible to make a route on land around the lake. Thanks for feedback. I will make a note of this in case I do update this AI. 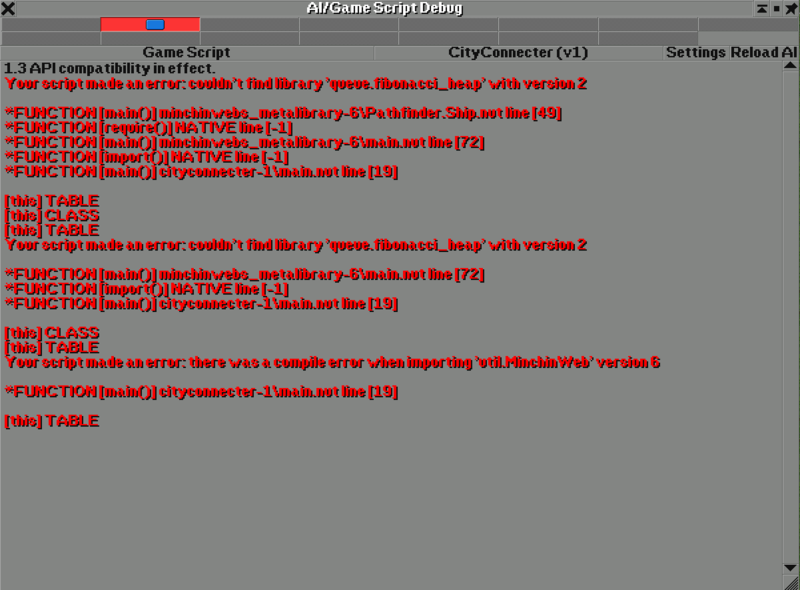 I have somewhat abandoned the AI to re-create the same as a game script, though are far from having anything playable. I am currently in a play break from OTTD, and have no immediate plans to pick it up again. This AI would suit a GS perfectly. I've been building a road network at the start of my games using an idle AI for ages. I'd start by joining all The towns with motorways using The Dutch road furniture GRF, then join up all The primary industries to The nearest road creating a huge network. The problem with AIs was if the road was in your way, you were screwed. With a GS I'm assuming the roads would be town owned, so easier to "move" if you needed to. That and the money problems. Hope you get this up and running. I'm available for testing and suggestions if needed. Another player here that would love a GS like this. Having cities connect to one another with roads would increase the immersion a heck of a lot. Yeesss you're still active! Awesome! Looks like you haven't downloaded all the required SuperLibs. If you download AIs via ingame content download, dependencies would be automatically selected for download aswell.